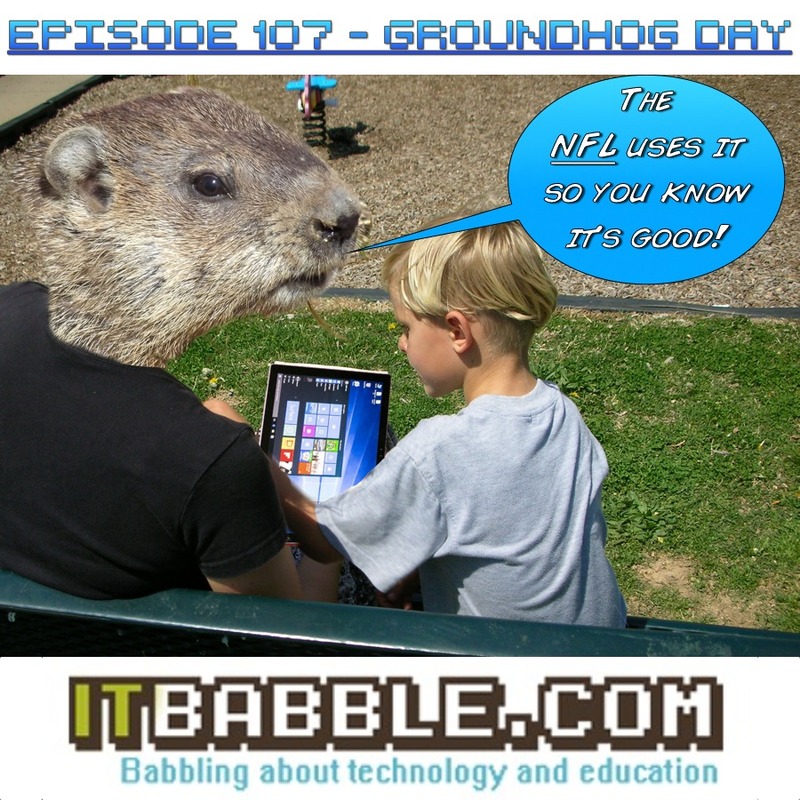 Tony, Tim and Patrick get together and babble about some great ed tech issues. Check out the talking points below and happy Groundhog day. f. How much of this will be adopted by mainstream education? b. Is the NFL a good place to road-test tech for schools? c. As an IT director, how do you budget in damages to school devices? d. Should students, teachers or parents be responsible? e. Microsoft said the network was the issue here, not the Surface itself. How many learning hours do we loose each week thanks to inconsistent networks? Is it always worth it? This entry was posted in Podcast and tagged altschool, analytics, big data, Microsoft surface pro. Bookmark the permalink.